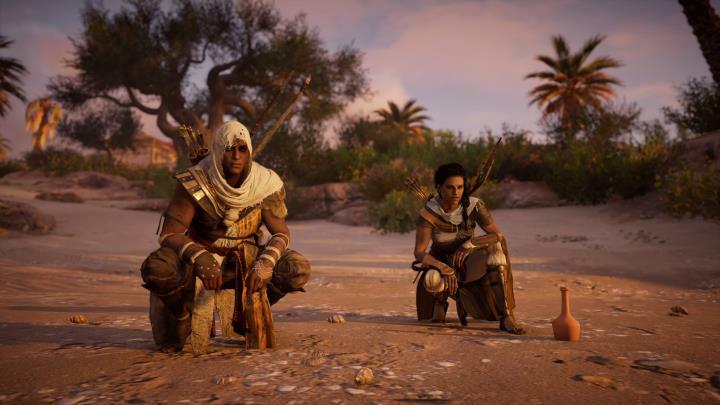 If one thing is clear, is that Assassin’s Creed Origins was one of 2017’s top games, and did a lot to restore confidence in a franchise many gamers had lost faith in after Assassin’s Creed Unity’s botched release back in 2014. So, taking into account what a success Assassin’s Creed Origins has been, it makes sense that fans worldwide are already looking forward to the next Assassin’s Creed instalment. And the question is, where will the next Assassin’s Creed game be set? You shouldn’t be surprised to know (this being an Assassin’s Creed game and all) that there’s already been an early leak hinting at the next game’s setting, while online rumours doing the rounds on websites such as Reddit could give us an idea of where Assassin’s Creed could be headed next. As was the case with Assassin’s Creed Origins, which early leaks revealed was codenamed “Empire”, it’s very likely the next Assassin’s Creed entry could be codenamed “Dynasty”. This instalment in the series would be named Assassin’s Creed Dynasty then, although this is unlikely to be the game’s actual launch title, as earlier games like Assassin’s Creed Syndicate (known during development as Assassin’s Creed Victory) and Origins (which was named Assassin’s Creed Empire during its development phase) launched with different names. The Dynasty moniker was leaked on website PlayStation Universe by a former dev working in Technicolor (which is based in India) this February, something which suggests this upcoming Assassin’s Creed game could have been in the works for quite some time now. Regarding the setting, it has been speculated the Dynasty name strongly implies this next game could be set in China, a country known for its long-lived ruling dynasties. Actually, Ubisoft already released an Assassin’s Creed set in the Asian country. 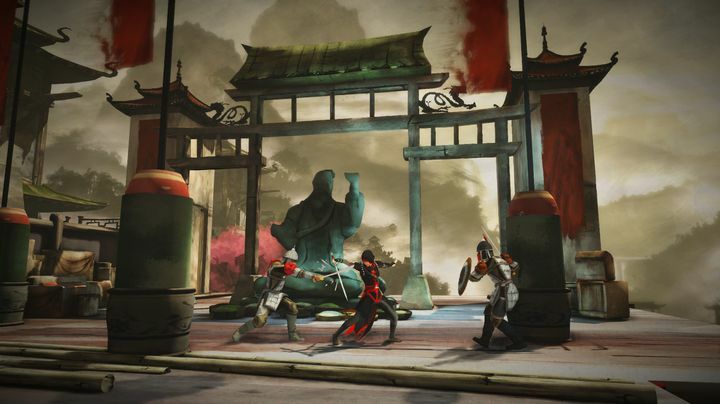 This was 2015’s Assassin’s Creed Chronicles: China, game also renowned for being the first in the series to feature a female protagonist and for its good Prince of Persia-style gameplay. Will Assassin’s Creed go back to China in the next mainline instalment? The thing is, the fact that Ubisoft already put out a game set in China might dissuade it from releasing another set in the same country, although it’s likely many players would be more than happy to play another game starring China’s protagonist Shao Jun. Another possibility is for the next Assassin’s Creed game to be set in Japan, the Land of the Rising Sun… What was claimed to be conceptual art from a possible Assassin’s Creed surfaced last October, pointing to Japan being the setting for the next Assassin’s Creed (and I personally sure would love to see a Japan-set Samurai game somewhere along the road). But while Japan and China look like good options for an upcoming Assassin’s Creed, some have speculated that Ubisoft will not be taking us to Asia in the series’ next entry. Actually, rumours doing the rounds online on sites such as Reddit suggest the next Assassin’s Creed will be a continuation of last year’s Assassin’s Creed Origins game. And this does make a lot of sense taking into account what a great character Origins’ protagonist Bayek was, and if Ezio Auditore (Assassin’s Creed II’s protagonist) starred in three games, it makes sense Ubisoft might want to have Bayek feature in more Assassin’s Creed titles. Another Assassin’s Creed starring Bayek could conceivably take place in Greece or in Rome, especially the latter given the big historical events taken place there at the time. Although the former also makes sense taking into account this was mentioned as a possible setting for Assassin’s Creed Origins itself, meaning it’s not out of the question that the next Assassin’s Creed could be a spin-off or expansion taking place in the Hellenic country, in the same way Ubisoft jumped ship from Italy to Turkey with Assassin’s Creed Revelations back in 2011. Another completely different possibility for the next Assassin’s Creed game’s setting could be Portugal or Spain, but since those countries have not featured much in Assassin’s Creed lore to date this looks unlikely, but would certainly be interesting nonetheless. Of course, it might also be the case that Ubisoft was teasing future Assassin’s Creed settings with its Chronicles series games back in 2015 and 2016, meaning we should expect to visit India and Russia (as well as China) in future mainline Assassin’s Creed games. What’s clear, though, is that this is all rumour and speculation for the time being, and Ubisoft might yet surprise everyone when it reveals the setting of its next Assassin’s Creed game. But here’s hoping that, whatever its setting, the next game in the long-running franchise has as much to offer as Assassin’s Creed Origins did in 2017 when it hits shelves at some future date.